2015 was another exceptional year in sports in Bossier Parish with plenty of memorable moments and stories. In no particular order, here is my list of the top ones. Rodney Guin retires: For the second year in a row, Guin figured in one of the year’s top stories. His near-fatal heart attack and remarkable recovery was one of the top stories of 2014. 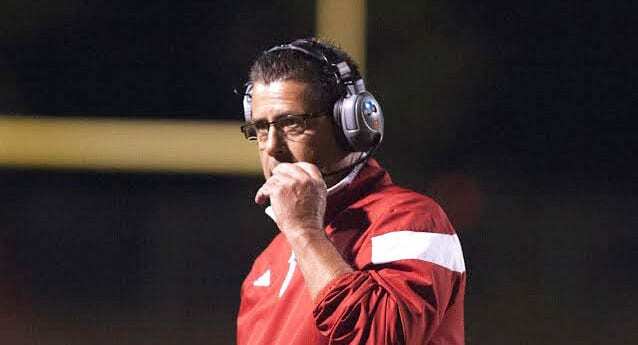 He made news again in August when he announced his retirement as head football coach at Haughton just before the season started. Guin’s final team finished 6-5 after losing in the first round of the Class 5A playoffs. He was the winningest coach in school history with a record of 126-56. Longtime assistant Jason Brotherton was announced as Guin’s replacement in November. Prescott, Harris face off: In what was likely a first, two former Bossier Parish star high school quarterbacks went head-to-head as starters in an SEC game. Harris’ LSU Tigers edged Prescott’s Mississippi State Bulldogs 21-19 in Starkville, Miss., on Sept. 12. Prescott rallied Mississippi State from a 21-6 deficit in the fourth quarter. He completed 23 of 32 passes for 247 yards in the second half, finishing with 335 yards passing. Harris completed nine of 14 passes for 71 yards and rushed for 48 yards. Leonard Fournette was the star, rushing for 159 yards and three TDs. Harris’ first season as LSU full-time starter: The Mississippi State game was LSU’s season opener after the McNeese State game was canceled due to lightning. Harris, a sophomore, started every game. He helped the Tigers get off to a 7-0 start and No. 2 national ranking. LSU then lost three in a row. Harris got some of the blame along with head coach Les Miles, offensive coordinator Cam Cameron and a porous defense. Still, Harris finished the season 135 of 254 for 1,904 yards with 12 touchdowns and nine interceptions. Dak Prescott ends great collegiate career: Prescott finished his final regular season at Mississippi State with 38 school records — 15 career, 15 single season and eight single game. For the second straight year, he was named first-team All-SEC. He led the Bulldogs to an 8-4 record and a berth in the Belk Bowl. Prescott is one of four players in FBS history and the second player in SEC history to throw for 60 touchdowns and rush for 40 in a career. He is also one of 10 players in FBS history and the second player in SEC history to pass for 8,500 yards and rush for 2,000. Former Florida star Tim Tebow was the only other player to accomplish those feats. Two other former Bossier Parish prep quarterbacks started games for their collegiate teams. Airline product Hayden Hildebrand, a redshirt sophomore at Central Arkansas, passed for 1,707 yards and 12 touchdowns in 10 games. He helped the Bears go 7-4. Haughton product JD Almond, also a redshirt sophomore, passed for 528 yards and three touchdowns in six games for Northwestern State. Benton wins fourth straight state golf title: The Benton Tigers won their fourth straight Division II state golf championship in May. The Tigers won by 24 strokes over St. Louis of Lake Charles. Jacob Wyatt was the individual medalist. Wyatt, Brooks Cram and Corbin Cantrell were on all four title teams. Jalan West’s success, injury: Former Bossier standout Jalan West continued his outstanding basketball career at Northwestern State in the 2014-15 season. He finished as the nation’s assist leader at 7.7 per game and was 16th in scoring at 20.0 points. Going into the 2015-16 season, he was ranked among the top 100 players in the nation by several publications and one of the best guards at a mid-major school in the country. But in the Demons’ season opener at Ole Miss, West suffered a season-ending knee injury in the final minute of the game. NSU applied to the NCAA for a sixth year of eligibility for West. If he is denied another year, West will try his hand at professional basketball. Benton, Parkway win football district titles: The Benton Tigers and the Parkway Panthers won district football championships in November. Benton finished a perfect 7-0 in District 1-4A and 9-1 overall. Parkway finished 5-1 in District 1-5A, sharing the title with Byrd and Evangel. The Panthers advanced to the semifinals of the Class 5A playoffs before losing to eventual state champion Zachary 41-27. Spring sports success: Benton won the District 1-4A baseball title for the third straight year. The school also swept the boys and girls district track titles for the fourth year in a row. Airline won the District 1-5A baseball championship. Haughton took the District 1-5A boys track and field title for the third time in four years. Individual state champions: Four parish wrestlers won state titles in February — Parkway’s Zac Funderburk, Hunter Huckaby and Nathan Pitts and Airline’s Christian Walden. Four parish athletes also won titles at the state outdoor track and field meet in May — Bossier’s Cartavia Cook and Kelvin Brooks, Plain Dealing’s Keldrick Carper and Parkway’s Sara Funderburk. Carper was named the Outstanding Performer in Class 1A boys. Parkway and Bossier boys basketball success: Parkway reached the quarterfinals of the Class 5A basketball state playoffs in March before losing to eventual state champion Scotlandville. Bossier won its seventh straight district title. The Bearkats shared the District 1-3A championship with Evangel. Parish lands wrestling championships: In March, the LHSAA awarded the 2016 and 2017 state wrestling championships to the CenturyLink Center much to the consternation of some South Louisiana coaches and officials who believe the event belongs in that part of the state. Benton schools win national archery titles: Benton Elementary and Benton Middle School won titles in the National Archery in the Schools Program World Tournament in July. Youth baseball/softball success: The Bossier Little League hosted two state baseball tournaments and won four baseball and softball state titles in July and August. Haughton won the Dixie O-Zone state title.